Classes are free to our members and must be pre-booked before hand to ensure spaces are available, this can be done online, in the centre at reception or via phone. 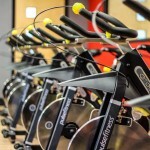 Members are able to book classes 7 days in advance. Fitness classes are for everyone, everybody is welcome and everybody can take part. Each class is different and offers a range of options that will take you from the first steps all the way up to the advanced levels. We always take the classes at your pace, if you’re worried, have a chat with one of our friendly instructors who will point you in the right direction. 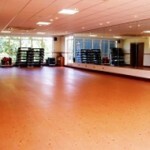 Our exercise classes are a social event. You can come along with your friends and family, or do what many people do – come along to make new friends. 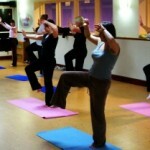 Non-members can attend our classes for £5.20 per class, please call reception to book your place. Non-members are able to book 5 days in advance via reception or by calling us. If you are a member of the centre you benefit from having the opportunity to book your fitness classes online 7 days in advance, just one of the many member benefits. 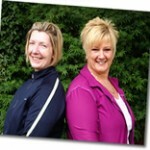 Our pilates classes & cardiac rehab are all run by Nicola Kidney and Sonia Everest who have been working together for over 5 years but separately have over 15 years experience within the health and fitness industry.